Leaving a comment here in the last hour of the last day of Windows XP. Everything seems OK so far. Uh, wait now .... funny buzzing noise -- strange flashing lights on edge of monitor ... AAAAAAAAAAHHHHHHHHHHHHH!!!!!! 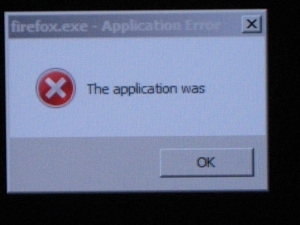 Actual informative error message from Windows XP. Posted: Apr Thu 10, 2014 3:24 pm Post subject: I'm back baby! Now a Windows 8 guy. Got a dirt cheap computer from TigerDirect Canada. I hope it lasts until Microsoft brings out a less strange operating system.